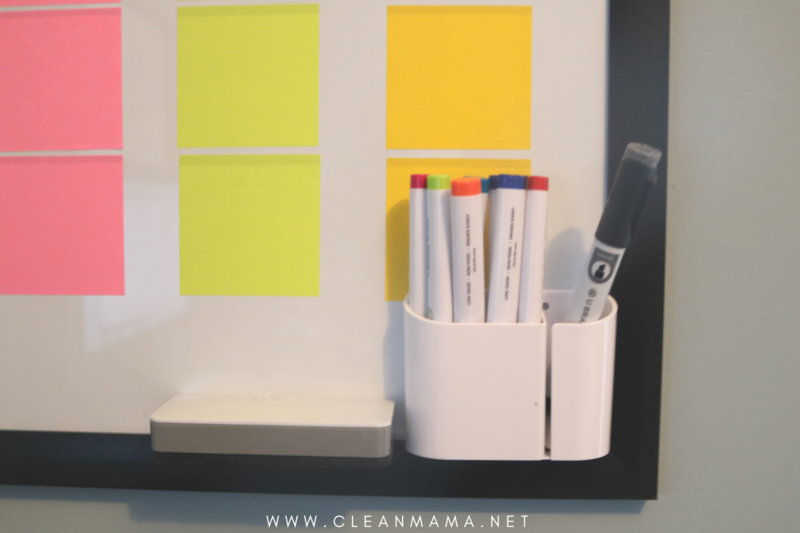 I set up a large wall planner/ task organizer a couple months ago and showed you a little glimpse in this post all about how I organize paper. 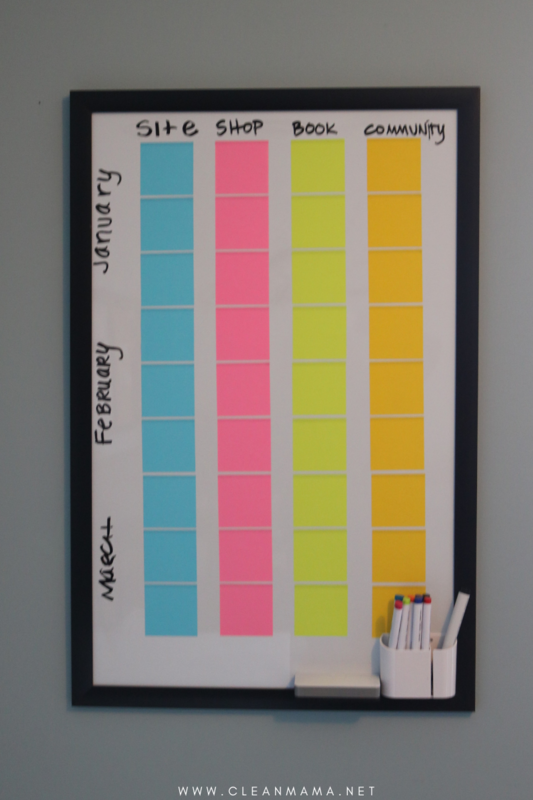 I’ve been using this as a visual reminder to help me keep track of some business goals without going through endless sticky notes scattered on everything in my office. 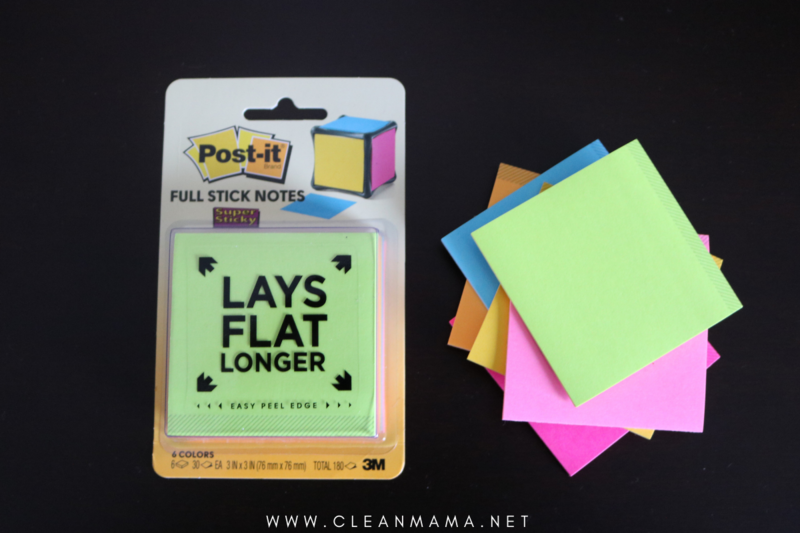 You could use this idea for house goals, work goals, kid goals, fun things to do….. I found everything at my local Target and am linking all the products found at Target at the very bottom of this post. Everything was about $30 for this project. 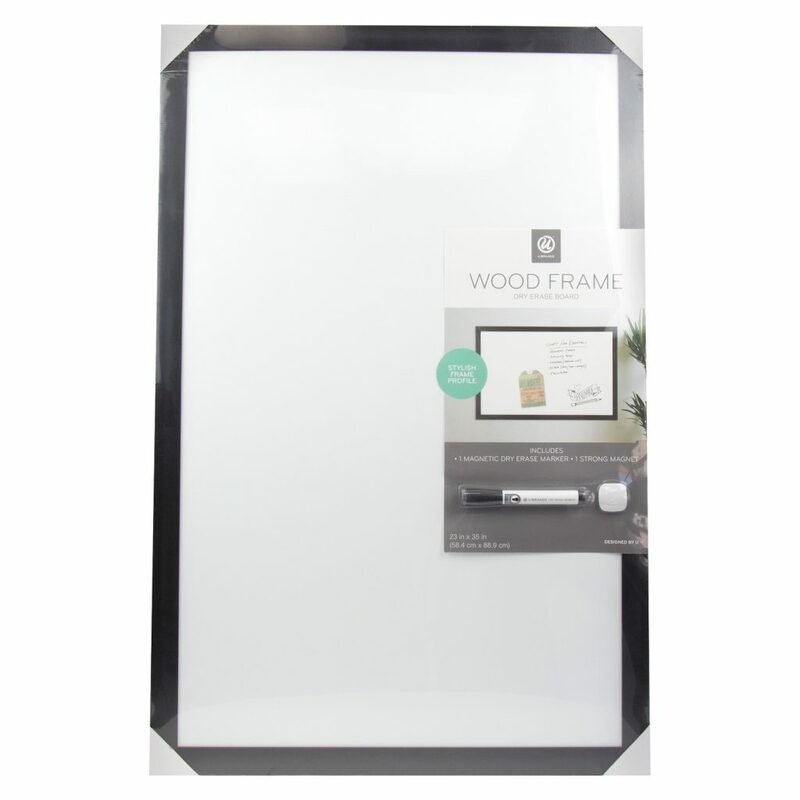 I hung the dry erase board vertically to fit in the space I wanted it to go in my office. It can also be hung horizontally. Then I divided the space into three for the first quarter of the year. You could leave the months out, or even just do one or two months at a time. Think about what your goals are and how far ahead would be helpful. I like to see three months at a glance – anything more than that is overwhelming for me. 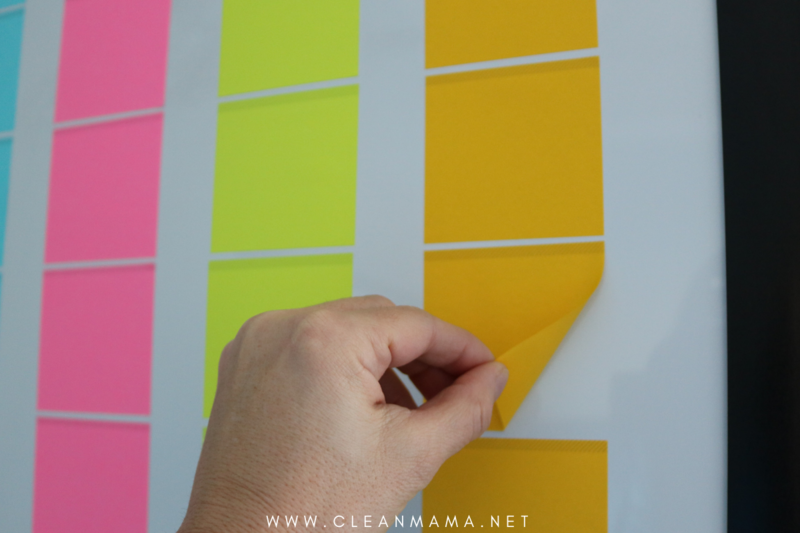 I chose 4 areas to concentrate on and wanted to work on 3 goals for each area and month. You can tailor this to whatever your needs, work, project is. 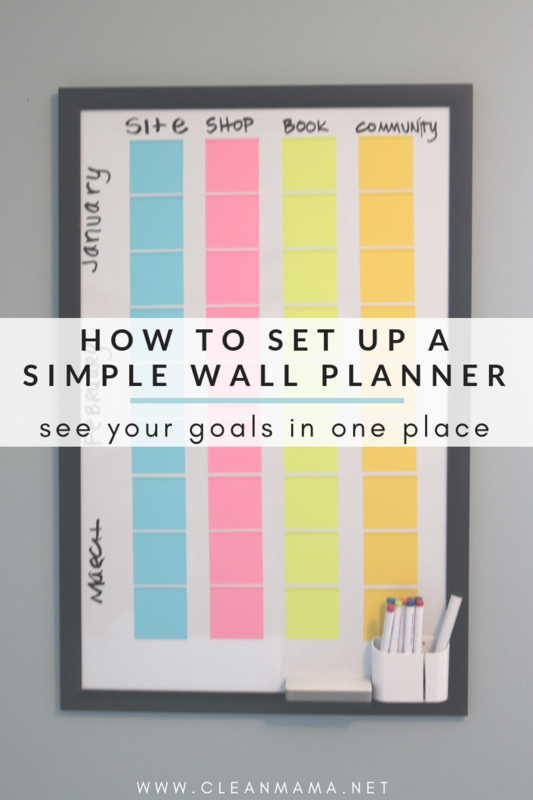 My favorite part of this type of planning is that it’s fluid – my goal is for things to get done in the month I plan for them to get done in but that doesn’t always happen. The main goal is that they are accomplished in the quarter. Once I had my main categories and months all laid out, I started writing out my goals (I used a fine tip pen). A quick phrase and a checkbox is all I added to remind myself of the goal. Once it’s checked off I keep it up. Anything that doesn’t get done in this quarter gets moved to the next one. Have you ever tried planning or goal setting this way? I’m really loving the big picture effect and how easy it is to just check in on what needs to get done. I love this idea! You have my mind buzzing with it . You have enlightened me to a simpler way to approach my home- thank you so much for that! Love all of your posts ! Great Idea! I think I may try this in my planner instead of on a board. 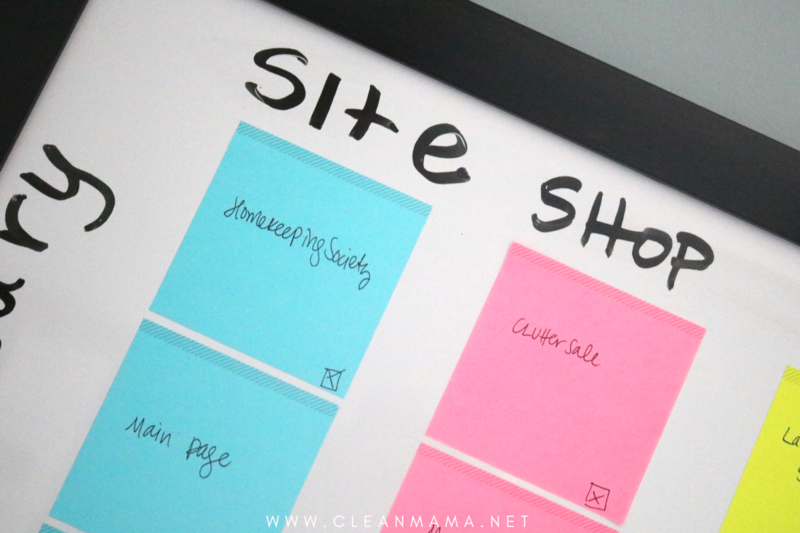 I love that you said how much you plan – 4 items & 3 goals and keep it that way so it doesn’t overwhelm.